Milan, 27th March 2019. The International Festival of Documentary Visioni dal Mondo, Immagini dalla Realtà, organised by FRANKIESHOWBIZ production company and held in Milan from Thursday 12 to Sunday 15 September, presents the official image of the Fifth edition. The skyline of Milan skyscrapers is the absolute protagonist of 2019 Festival. The seagull which in previous edition flew over the world to scrupulously observe our planet, this year points its gaze at the city of Milan. The new image, curated by the internal creative team, expresses the concept of the festival: an international vocation, a look at contemporary stories, the transformation and evolution of modern societies, from the cosmopolitan city of Milan, the city that host Visioni dal Mondo, Immagini dalla Realtà. The International Documentary Festival aim to promote the documentary as a cognitive tool of change and innovation, a form of expression for the narrative of today. 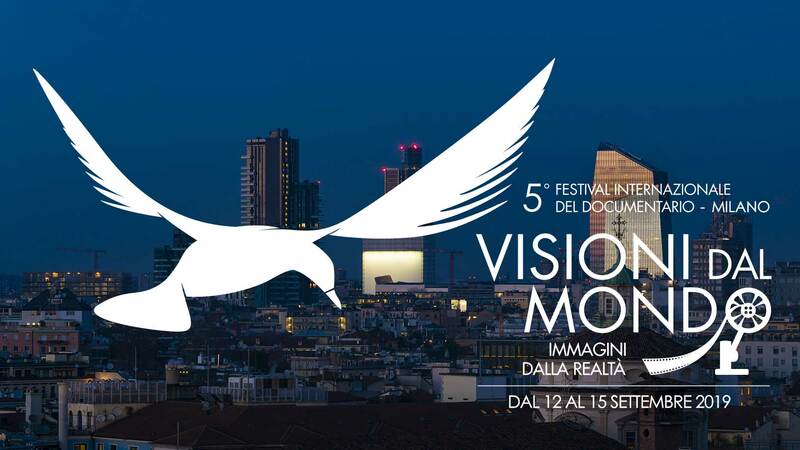 By choosing to represent the 2019 edition with the image of the seagull on Milan, the Festival underlines the strong link with the city and reinforces its view: to promote knowledge, culture and popularity of the documentary genre that, starting from Milan, besides representing a model of information, become a look at the world, the cinema of reality. The festival choses two very symbolic places of Lombardy culture as venues of the fifth edition: the Teatro Litta, one of the masterpieces of Milan architecture and the Museo Nazionale Scienza e Tecnologia Leonardo da Vinci, the most significant Science and Technology museum in Italy and in Europe and already location of one of the section of the last edition of the Festival.